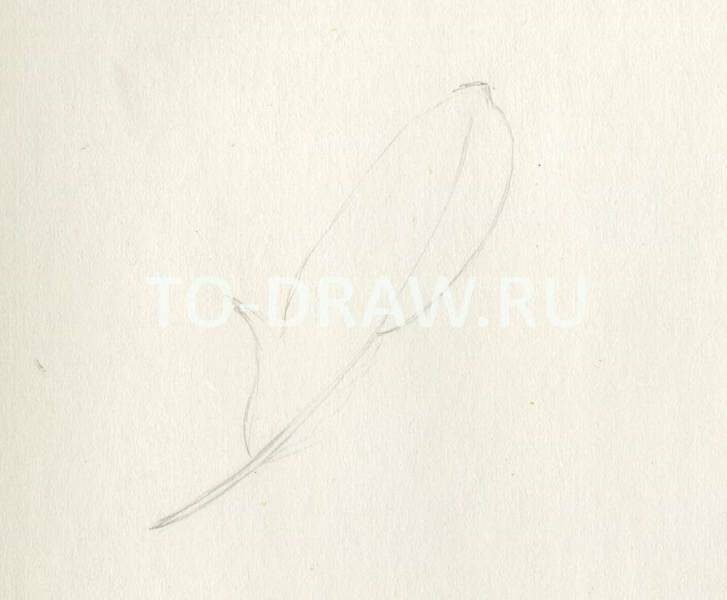 How to draw a bird feather pencil step by step? 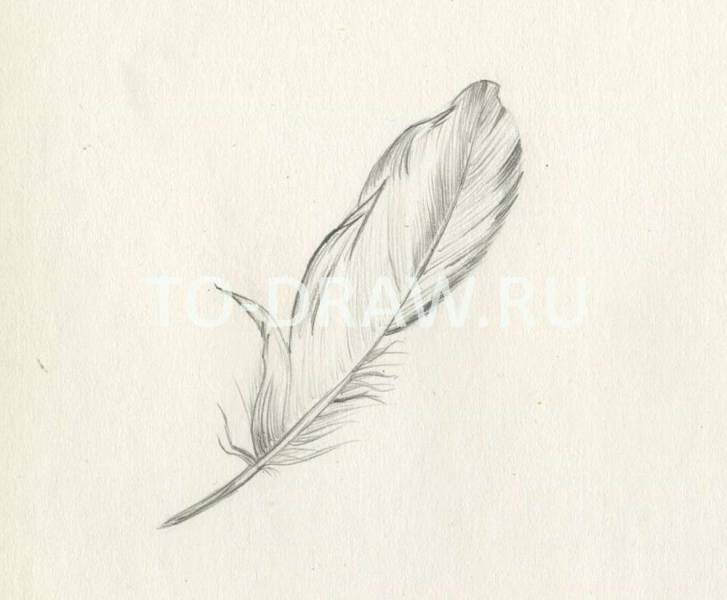 How to draw a feather birds of a pencil? We already had lessons on transfer of structure materials. For example, the tree we drew here. Today we will do a quick drawing, just Saga, bird feather. Consider a feather. Light, airy places with dense structure, throughout consisting of a thin, flat hair, the feel is smooth and fluffy in different places. Try to convey this in my picture. First pass on paper outer contours of the pen. Without details. Thin lines. Draw the initial sketch pen birds. Now we can start to draw the structure. Look, about the Central axis of homestay very visible veins, smooth, clear, dense. They draw a very sharp pencil, try to observe the parallelism of the lines where necessary. Then, there are some segments that are separated from the whole and separate "strands" are bent on the feather (as seen on our re left). Other such "strands" unbent towards the side and form a nice smooth-izgibistye line with toovercome the end. At the bottom, where a feather "razlomalis" very thin in places transparent hairs, we need to take a very sharp pencil and the most poignant part to pass this airiness. The strokes should be applied from the base of the pen (from the middle), where the line will be harder and finish quite a bit regarding paper - then You will be able to convey the lightness and fluffiness. If the strokes lead in the opposite direction, toward the middle, then these individual hairs will look heavy. Still peering into the form of hairs, and "locks" ! Smooth line or can sharply curved. Look at the edge of the pen. Somewhere he clearly outlined, and the faint "fringe" of the individual hairs, which stands out from the common line. Somewhere pen recipientsa and formed a "tick" dark color. In those areas where the light strikes, the structure of the pen is almost invisible. Central line is usually very clearly visible in the led case, kakai separate sections. We study in detail the picture of the pen. Good luck in future experiments!